Grand Opening - 23 November 2018! 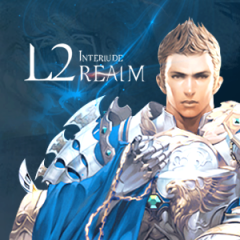 We are saving all the principles of Lineage 2 Interlude. Mid-rate X20 this is the average character development speed, the original Interlude battle system in PVP and Mass PVP, big and lively marketplace. Multifarious Crafting and Farming system! Farming resources or buying them at Giran trade zone, all up to you. Gameplay not affected by Mana Potions and NPC buffer! You still need mana recharge and 3rd class buffs. Original off-like PVP system without changes! Burning mana give you an advantage. Bonus Start on X20 for Everyone! Dear friend, prepare to Battle with the great bonus! - We made a set for comfort Start special for you. Right now the newbie quest is available in a new area of Parnassus on Interlude! 08.12.2018 comfort start and newbie quest are on! Dear players! For server ISA we activating event - "Lucky Box". Every monsters in the world of Lineage 2, now holding silver and gold chests of luck. Try to get it! These chests contain valuable prizes! You can create character: will be available 1 hours before opening. Rewards: B-Grade Weapon, Armor, Jewellery, Box with L2Realm Rune, VIP Card. Pre-start Events - Get Bonus! Especially for you, we making a series of promotions with simple tasks and "tasty rewards." Promotions are available 24 hours a day, 7 days a week. You just have to choose which promotion are acceptable for you. New Interlude X20 - 23 November! According to the old winter custom, OFF-Like Interlude X20. Huge fan base + 14.000 Euro for advertisment and attracting new users! Grand Opening - November 23, 2018. We are willing to introduce you some changes. More Drop and NoPK-Zone on Hellbound! Disconnections from the server will be fixed around lunch time (10/14/2018). The server will be restarted for troubleshooting. Dear players! The server is available for play! Today (13.10.2018) are possible shutdowns of server due to high load. Tommorow 14.10.2018 this prolem will be fixed. We are very happy that many of you have already registered on our project. All of us are looking forward to Server Start and only our collective decision to act right on schedule prevent us from pressing "START" button. GVG-tournament / Reward 100 Euro and Coins! Bonus - 100 Euro and Coins! Complete the task - get the reward! It start of UNIQUE INTERLUDE X1200! Only one exclusive X1200 with PTS core! Such stability and smoothness of character control you will not find on no other X100 - X1200 servers. We base our servers on a stable PTS core by adding only comfortable solutions from Java core development. If you don't know what to do and feel kinda lonely.. If you don't know where to play..
Then it IS high time to join us. We prepared a new location, fast quest to catch up with pioneers and good equip. Sharpen your weapons and fight! To prevent lots of tickets and questions, we want to make it clear. The 10% donation bonus was available by 24.11.1017 23:59. Our first tournament will be held on OBT server. Be attentive during registration, make the best party and win the first prize! Grand Opening. 25 NOVEMBER. New world x20. The quality of the PTS platform. Best Interlude server. We're glad to announce the mini-event "Stolen Statue"! Just find statue of Elf Warrior and... that's all! Everyone can take part in it, regardless of level or equip. Update Lineage 2 Classic 1.3 Age of War was successfully installed! You need new client files for game. You can find them on our site and forum! Lineage II Classic: Age of War is coming October 29th! Scheduled server maintenance will be performed on 29th of October 2016 at 00:00 +3 utc. During the maintenance we will install update 1.3 Age of War! The estimated downtime is approximately two-three hours. Offline trading temporarily disabled for testing the stability of the system. Tomorrow will be activated after the restart. We are clearly understand, as you are already tired of the regular problems with disconnects and upgrades. We are also not happy with what is happening and do not expect similar problems with protection. The test server cant dig this sutuation, since there is a problem with the stability coming with online over 500 players. For now,server is available and you can join. We are waiting for a fix from the SmartGuard Team wich solve this problem. At 4 in the morning (4:00 UTC +3) scheduled restart will be made with that fix. We rly hope that fix will solve this problem. Server restart today (at 18:30 AM, UTC +3 ). Update bot protection system. For the next entry to the game you need to use our new patch or updater. For the next entry to the game you need to use our new patch or updater. Tomorrow morning will be server restart. During technical works we will update our protective system. You won't be able to enter the game without new files. It's very important! Was the attack on the server. There were problems logging in to the game. At this time the attack is solved. GRAND OPENING: WORLD CLASSIC x3 TODAY! We are pleased to inform you that the server is open today 20 August at 18:00. Sign up! Download! And enjoy the game! Surprise for you - the first character on the account receive a rune of experience for 2 hours and hat. Use AutoUpdater for the last actual update. AutoUpdater for Classic server available now! Put the file L2RealmUpdater.exe in the l2 folder (if you downloaded the rar file you must first open the rar and then put the file in the folder). Run the L2RealmUpdater.exe file and click "CKECK FILES" after that the updater will automatically download and install all the files that are needed. When the updater will be finished click "START"
- Start client error "Can not run in this locale"
Last week was a time of the hottest debate in our team. We finally came to an agreement. Today we're glad to anounce the long-awaited OBT! Yes-yes! Already tomorrow at 20:00 (utc + 03:00) our server will open its doors to all comers. The Best of Chronicle LineAge 2 Classic With L2OFF Files! The progressive Chronicle: 1.0 → 1.3 → 1.5, update per 2 months. In the future update to the 2.0! In our team have a experienced developers, our team is specialized on the platform L2OFF. So we can guarantee high quality when we upgrade to new versions. Dear friends! This morning at 5:00 ISA server will be unavailable for 2 hours. Dear players! On 8th February 2016 shall come into force the new prices for some products L2Realm! Prices have changed, and you can already make purchases at a discount! Dear friends! This morning at 6:00 ISA server will be unavailable for 1 hours. ISA X20: GRAND OLYMPIAD GAMES! Dear players! Today (February 1) at 18:00 (GMT +1) will start the first battles in the great competition on the server Interlude ISA x20! The fights are held every day from 18:00 to 22:00 (GMT +1). JANUARY DISCOUNTS! SALE NOW ON! Dear players! We inform you about discounts for the goods from L2Realm! Dear friends! This morning at 6:00 ISA server will be unavailable for 1 hour. Due to the large number of players we will update the equipment and correct some mistakes server. Dear players! On server ISA will be activated event - Lucky Box. With all the monsters in the world of Lineage 2, you can knock out silver and gold chests luck! Opening chests you will receive prizes! Dear players! On server ISA x20 today (January 19) the amendments. The list of changes you can see in the forum thread. Dear players! On the server, ISA x20 today (January 15) the amendments. The list of changes you can see in the forum thread. Dear players! 13/1/2016 held Technical server restart ISA x20. The server will be available approximately 10 minutes. Dear players! We\'ve added the ability to produce through convenient payment services. Already, you can make payment via Skrill, Paysafeсard and others. Dear players! We recall that the first period of the seals on the ISA Server starts on schedule. Seven seals work in seven-day cycles (4 days - during the struggle, 3 days - period Seal). Event period will begin on Monday (January 11) 16:00, GMT +1. Due to the large starting line and a big load on the server is tomorrow at 4:00 (GMT +1) is on the server will be technical work. The server will shut down until 6:00 (GMT +1). It will be produced and improved equipment installed updates. Dear players, we have some issues with the register. The problem is for the e-mail platforms: @hotmail and @live, if you are using any of those e-mails, please try to make an account only with @gmail, we will try to fix this problem in the next 24 hours! In the podcast you can see Friggi and MoMoT who made question related to our project ISA x20 and not only, their stories, plans for the server, amount of members and more. Dear players! We are planning two steps testing server ISA x20. In the first stage, players can feel the skill, the Olympiad games, the bosses and the siege of the server. The second stage will be close to the real server configuration. Dear players! The merger of the two servers x20 & x5 happen March 14. Game servers will be unavailable on March 14 from 6:00 to 18:00 (GMT+1).